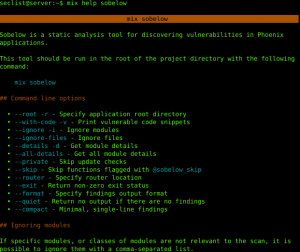 Browse: Home / Sobelow is a Security-focused static analysis tool for discovering vulnerabilities. 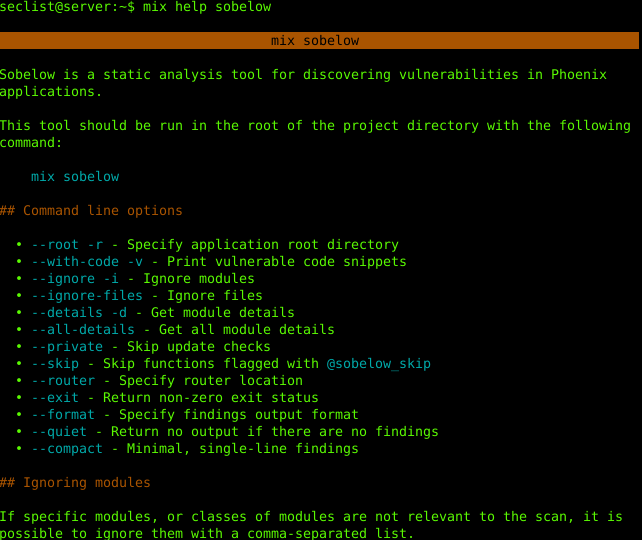 Sobelow is a Security-focused static analysis tool for discovering vulnerabilities. A finding is typically marked “low confidence” if it looks like a function could be used insecurely, but it cannot reliably be determined if the function accepts user-supplied input. That is to say, green findings are not secure, they just require greater manual validation. 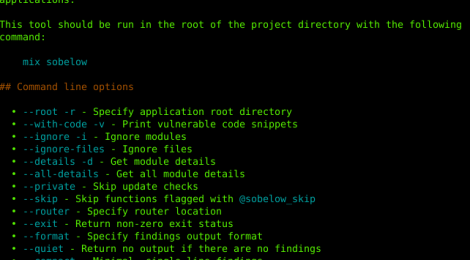 ← Nili is a Tool for Network Scan, Man in the Middle, Protocols Reverse Engineering and Fuzzing.